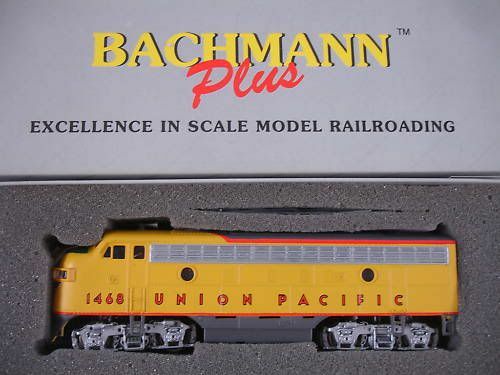 Bachmann's 1992 product catalog includes the introduction of the company's Bachmann Plus line. Five steam engines (Consolidation 2-8-0; N&W J 4-8-4; NYC Niagra 4-8-4; Santa Fe Northern 4-8-4; and GS4 4-8-4) were originally listed in '92 as new Bachmann Plus releases. All had previously been part of the company's line. 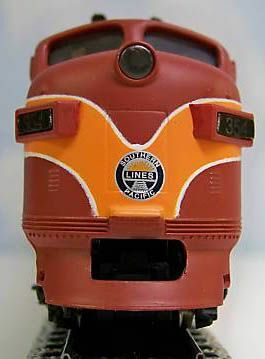 The new tooling pieces in 1992 for the Bachmann Plus introduction included the F7-A and F7-B found on this page and a General Electric B23-7 diesel. 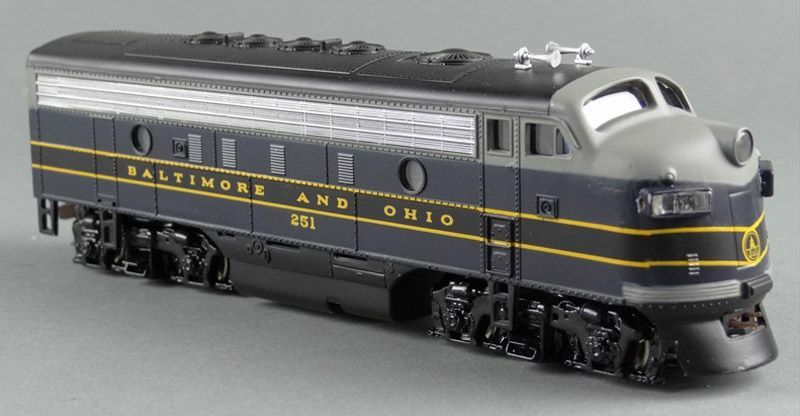 The Bachmann Plus F7A and F7B each retailed for $39.95 and both were released as powered only examples. Four roadnames are pictured (B&O; Pennsy; GN; and NYC) in the 1992 catalog with a Union Pacific and Undecorated also listed. 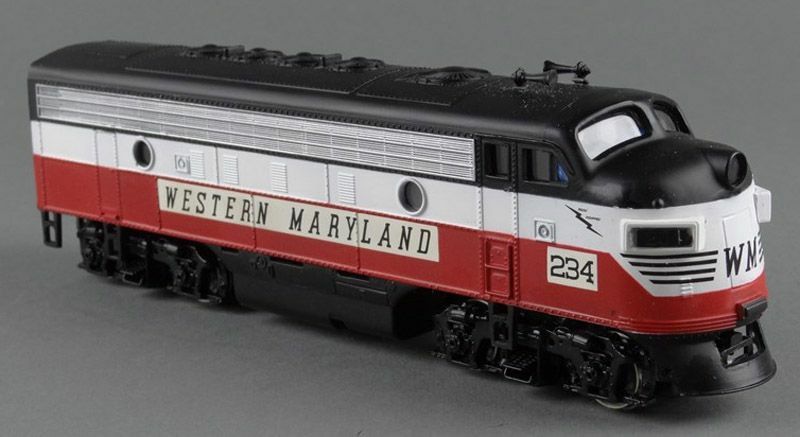 The 1994 catalog brings five new roadnames to the Bachmann Plus F7A and F7B: Western Maryland; Santa Fe; Erie Lackawanna; and Southern Pacific in both Black Widow and Daylight schemes. The WM F7B is listed with only one roadnumber offering, however the rest all include the standard Plus line's two roadnumbers per roadname. Retail in 1994 is $42.95 each. Bachmann's stock numbers on the previous F7A and F7B releases exchanged the leading 3 for a 1. For example, the B&O F7A was 31211 in 1992 and 1993; for 1994 it became 11211. 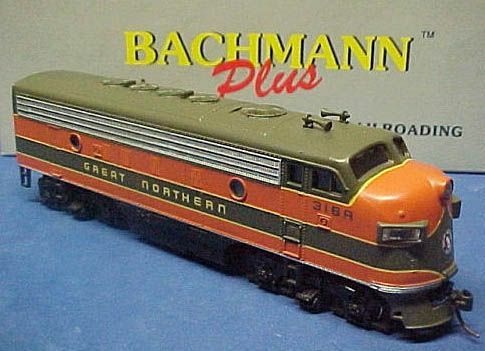 This was Bachmann's third F-unit offering since 1970 and the company's entry into the HO-scale model train market. 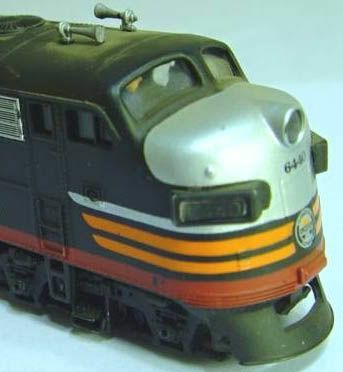 Bachmann debuts in '70 with the F9A and the late '70s saw the FT-A. 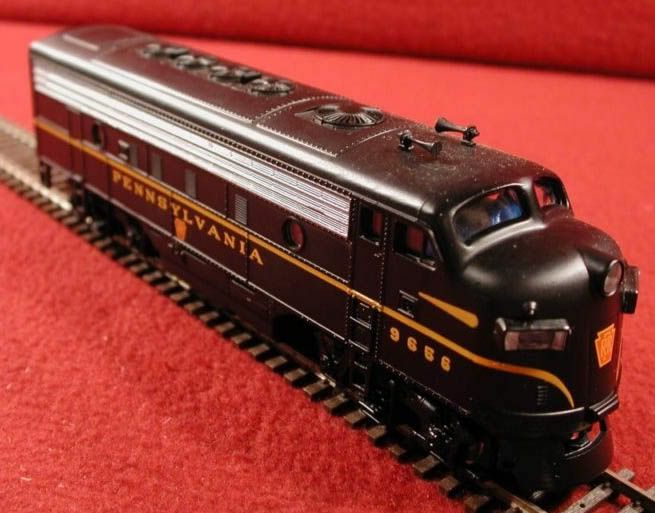 The Bachmann Plus F7B was the company's first B-unit in HO-scale.